Kalki Koechlin is one of the finest actors we have in Bollywood. The actress made her onscreen debut with Dev.D and that’s how she met her ex-husband, Anurag Kashyap. Kalki essayed the role of Chanda in her debut film, which was directed by Anurag. The duo tied the knot in April 2011. However, the marriage did not last long, it lasted for two years. In November 2013 the couple issued a joint statement and announced that they have decided to part ways. But even after getting divorced, Kalki and Anurag maintained cordial relations with each other. But the kind of comments that the Made in Heaven actress had to deal with post-divorce, was something she chose to ignore. Siddhant Chaturvedi Says True MC Sher is His Father, Gully Boy Actor Opens Up to Humans of Bombay. In an interview to Humans of Bombay, Kalki Koechlin reveals about the struggles she had to go through in the initial phase of her career and a lot about her personal life as well. She revealed, how the society linked her up with men every time she stepped out with them. Kalki was quoted saying,” When my ex-husband and I separated, I had to deal with the rumors. Every time I stepped out with a man, the media thought we were dating. Journalists would ask how my life was post-divorce, how was I handling my career and balancing it? Even concerned neighbour’s would ask my parents such questions. But I chose to ignore it.” Made in Heaven: These Funny Reactions to Sobhita Dhulipala and Arjun Mathur’s BRILLIANT Web Series on Twitter Desereve Your RT. 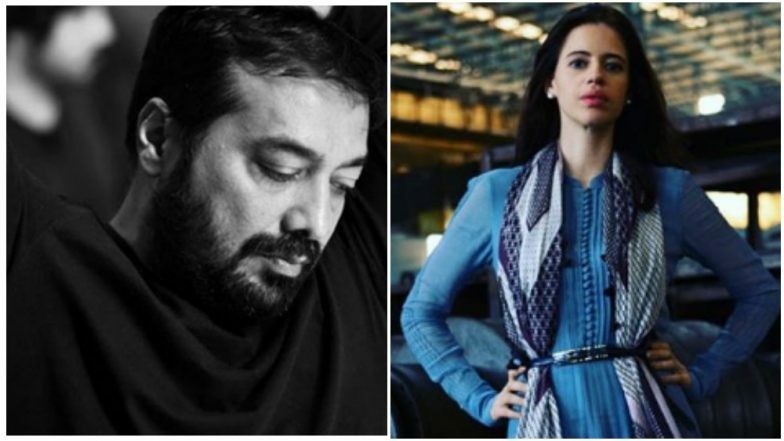 Kalki Koechlin was last seen in the blockbuster film Gully Boy and is currently seen in the web series Made in Heaven, essaying the role of Faiza Naqvi. She will also be seen in CandyFlip, directed by Shanawaz NK.